This is a great, simple meal that just screams comfort. 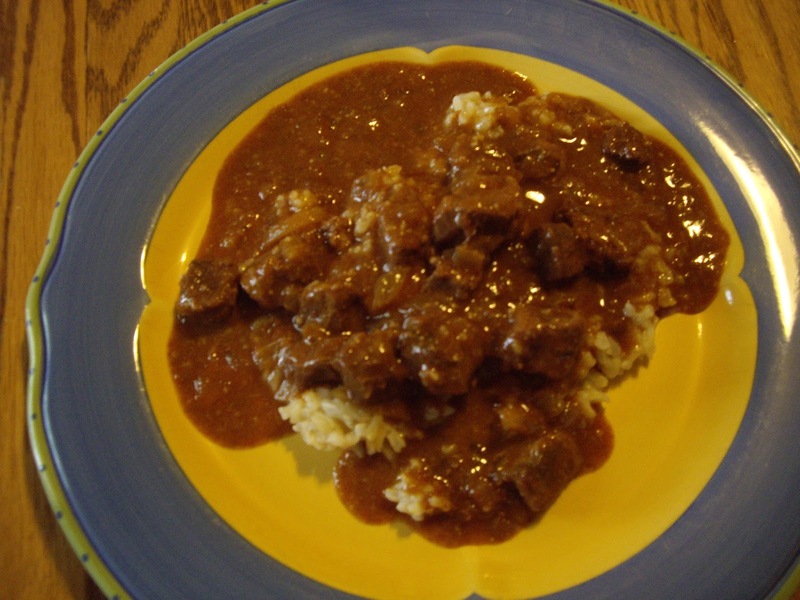 Hungarian goulash is different from the tomato sauce/hamburger/macaroni version that most Americans are used to. Serve this over rice or noodles and you have quite a meal. You will need a 4 to 6 quart size crockpot. Cut up the meat and put it in the crockpot. Combine the ketchup,Worcestershire sauce, brown sugar, salt, paprika, dry mustard, and 1 cup of the water. Pour and over the meat and stir everything together. Cover and cook on low for 8 to 10 hours until the meat is tender. Combine the rest of the water and the flour. Stir that into the beef mixture and turn on high for 10 to 15 minutes until the sauce thickens. While the sauce thickens, cook your rice or noodles. The cut of roast can determine how long to cook it. Chuck roast is tougher so it may take the full 10 hours, whereas a loin roast may be tender at 8 hours or less.